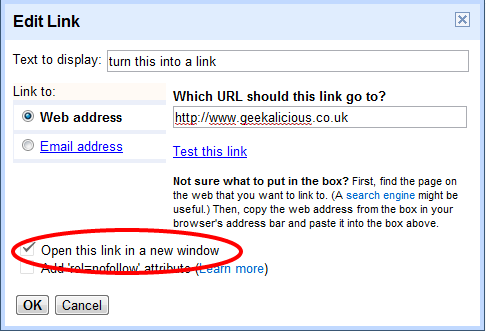 Blogger has a great little tool that allows links in your blog posts to open in a new tab/window. This improves your 'bounce rate' (the length of time a reader stays on your blog before they 'bounce off' to another page). Unless you know how to incorporate this into other parts of your blog (i.e. widgets, social media buttons, etc.) you may still find that readers are clicking links that YOU have recommended and not returning. This mini-tutorial shows you how to insert one line of code into your blog template so that ALL links on your blog are opened in a new tab/window. Log in to Blogger and click "Template"
Click on "Edit HTML" and "proceed"
Log in to Blogger and click "design"
Now ALL links (past and current) open in a new window/tab.